Thank you to the makers of the Muscle stick roller for sponsoring my post today. I was really looking forward to receiving the Muscle Roller stick because I spend 9 hours a day sitting at my job and i get some very stiff muscles. My husband is an avid runner and was looking forward to giving the roller a try for his pre-stretch warm up. Once we received the Muscle Roller stick we both gave it a try. I used the behind the neck movement to self -massage my neck. The stick had easy grip handles with rollers in the middle. The only thing I think would make the Muscle Roller Stick easier to use is to add a few more inches of length. Some of the moves would be harder to do if you weren't as flexible (me) as the person in the pamphlet. 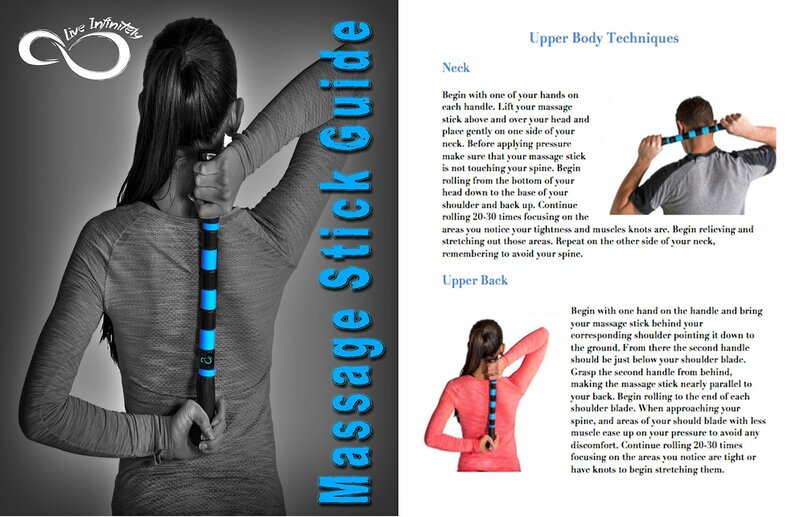 My husband did give the Massage Stick a try on his way out to run and he did like the way the roller stick worked the muscles but still preferred to warm up the "old school" way. Sometimes old habits are hard to break. The benefit of the stick is that if you need to quickly work out a kink then you can do it all by yourself. There are some design changes that I think would make this even better but it is still a great product. You can order this from Amazon and if you have Prime then your shipping is free!